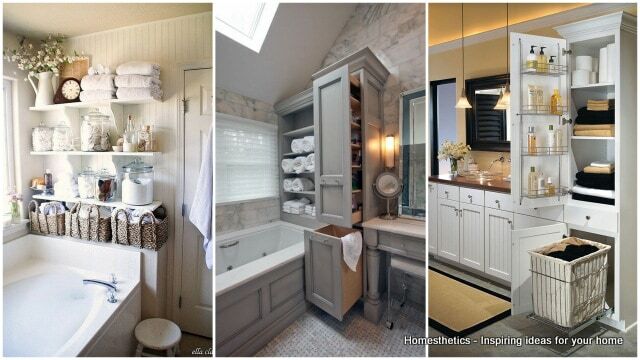 10 Simple Space Saving Bathroom Solutions | Homesthetics - Inspiring ideas for your home. We often find ourselves preoccupied with issues such as storing mundane every day products we use and the option of allowing the products to lie exposed for curious eyes to see or to leave them concealed in hidden drawers.The possibilities in therm of design are numerous for your bathroom but the basic ideas stand: invest in pull out drawers, use the space underneath your bath tub to hide items, add shelves to exposed empty walls and use wicker baskets or wire baskets and mason jars to store bathroom products or recycle and be creative in making your own diy storage space from wooden ladders and such. 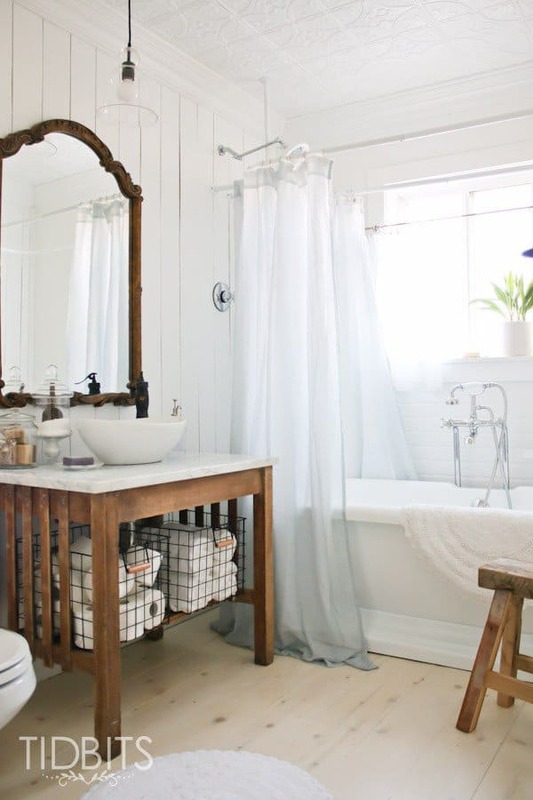 We have selected 10 simple but straightforward space saving bathroom solutions that underline the main directions you can follow in designing your bathroom storage areas. 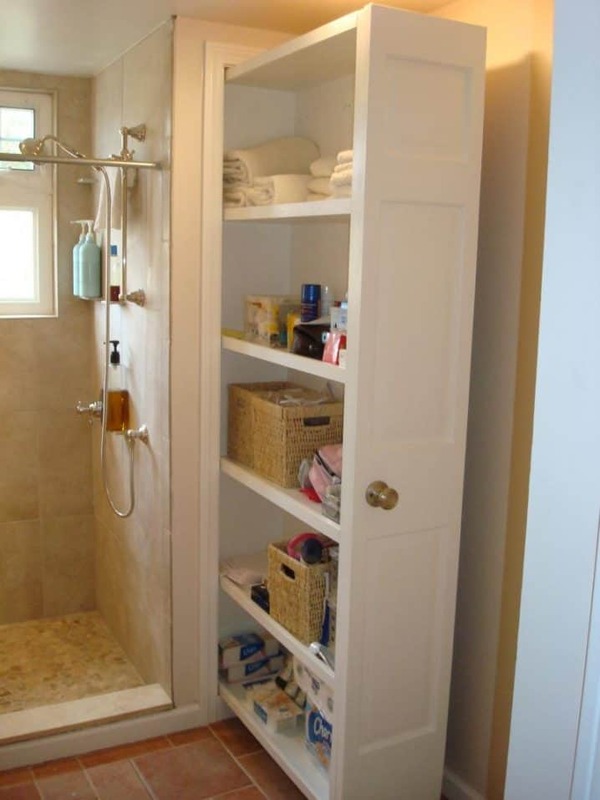 This allow you to store all the necessary bathroom consumables, towels within reach of your bathing zone, be it shower or tub. For a vintage romantic appeal apothecary jars and wicker baskets are the optimum solution, leave them in plain sight. 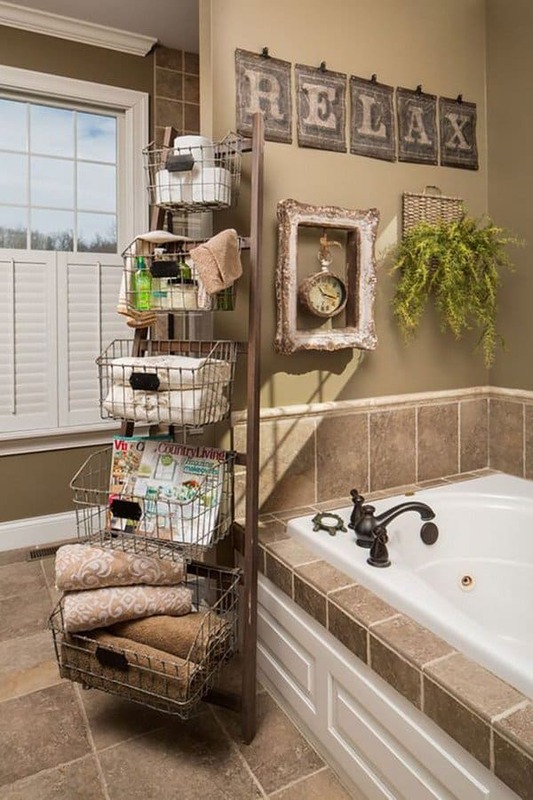 Old ladders have a certain charm we all love, add wire baskets to such a ladder and create the perfect industrial inspired storage space. 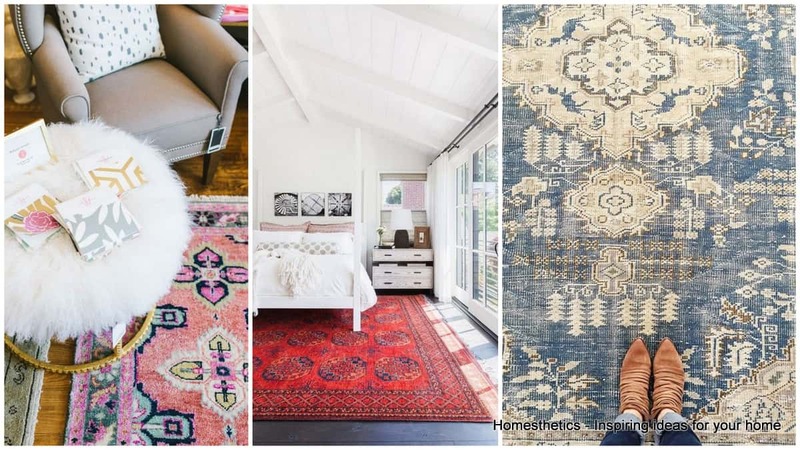 If exposed storage is not your thing, try to maximize the available zones and create concealed zones. The entire white and wood and wire ensemble creates the most romantic atmosphere, fresh and feminine. Notice how wooden paneling has been used on walls to complete the design. 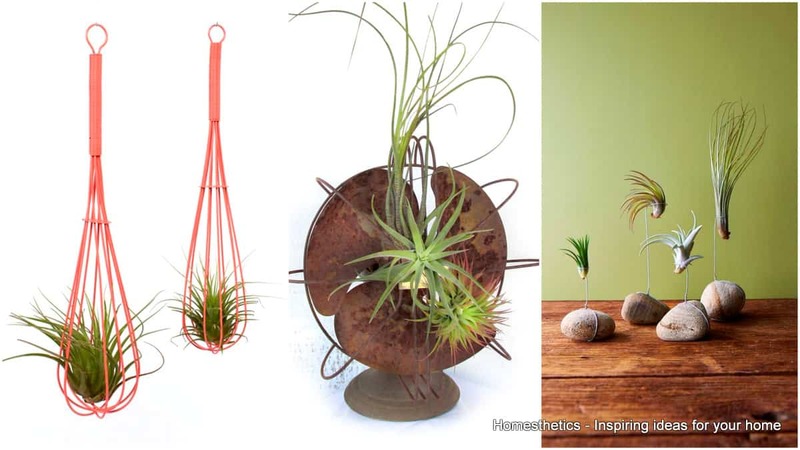 It is all about the general aesthetics. 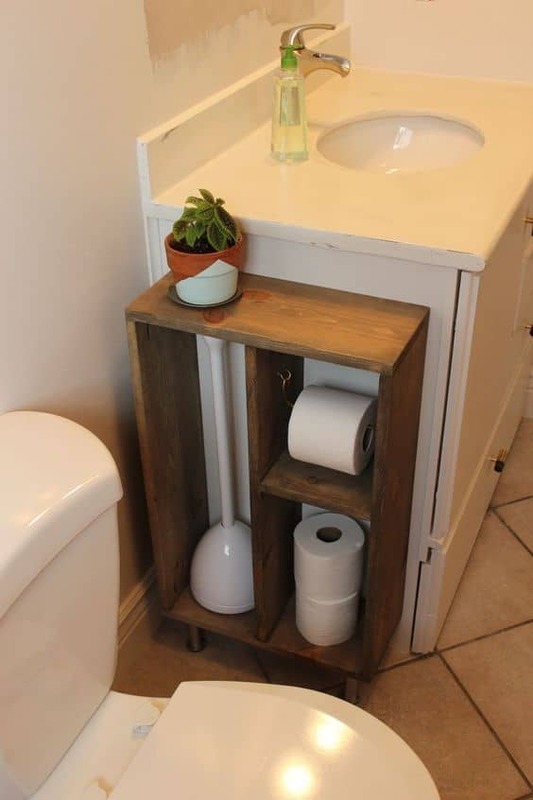 You can get crafty and recycle wooden boards into effective storage space. 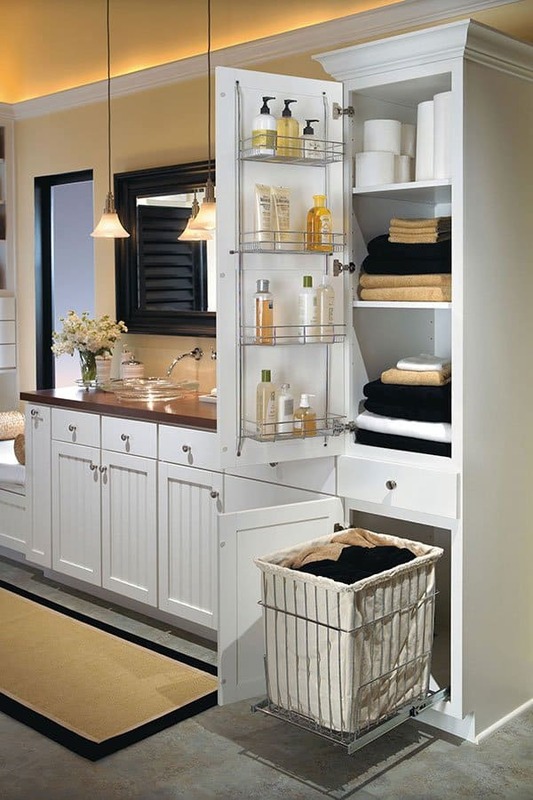 Never neglect the doors of your cabinets, they provide plenty of storage space. 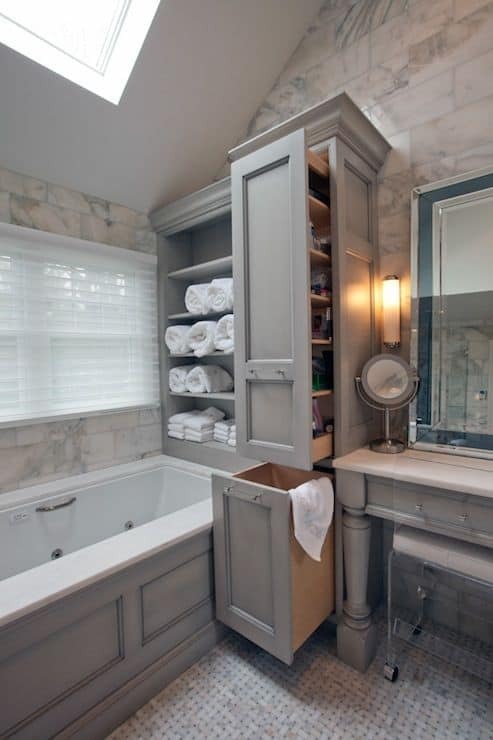 Each corner can be used, the nook placed next to the shower has been transformed into a tall pull out drawer. 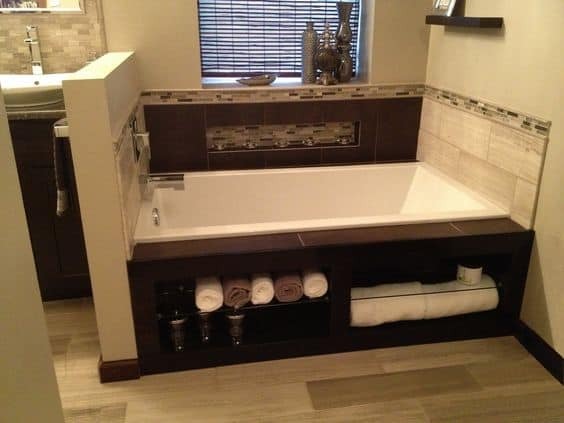 Simple and clean looking solution that allows easy access to towels and soaps during your bathing time. 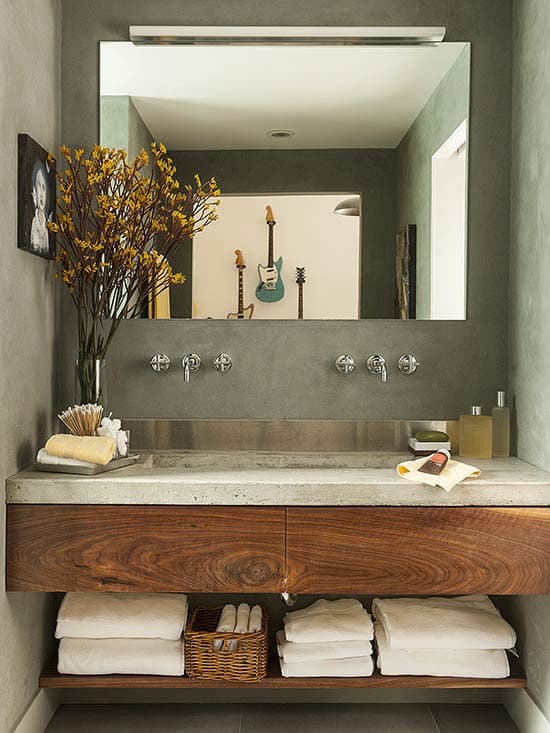 The sink area offers again much storing available space, use it wisely. 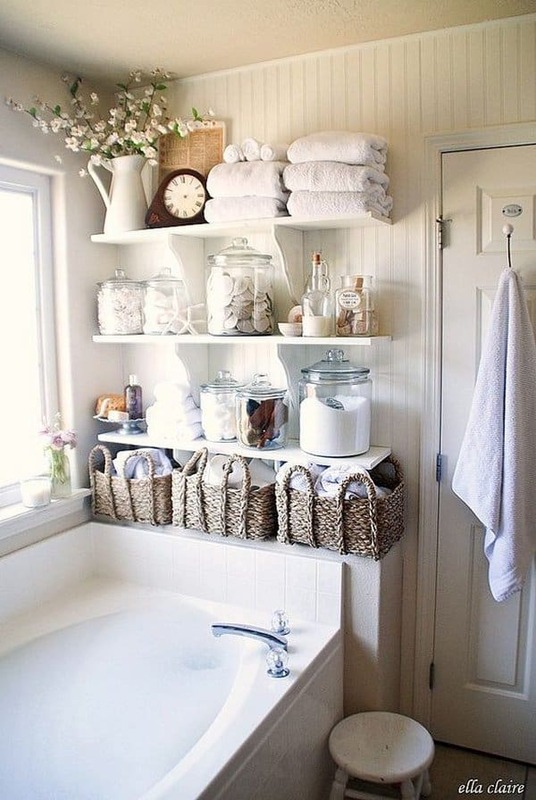 How do you create storage space in your bathroom? 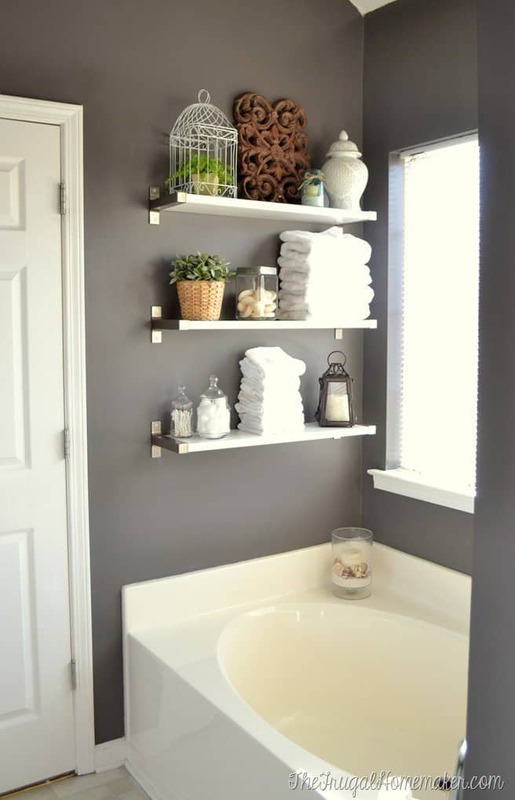 Feel free to share your smart bathroom storage solutions in the comment section below.